I recently ended up on the Kind Bar website, where I was greeted with the headline “guilt-free indulgence.” We need to address this. I don’t want my message to ever get confusing. 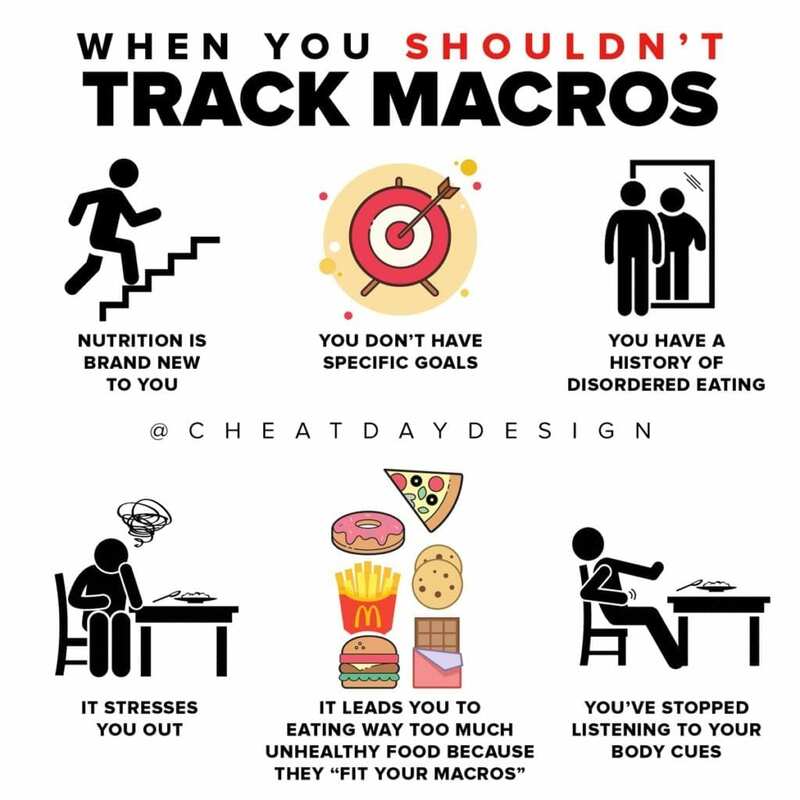 I post food alternatives and macro comparisons here to help EDUCATE people, not to guilt them. Nutrition is not black & white, and it’s up to you to make your own food choices. 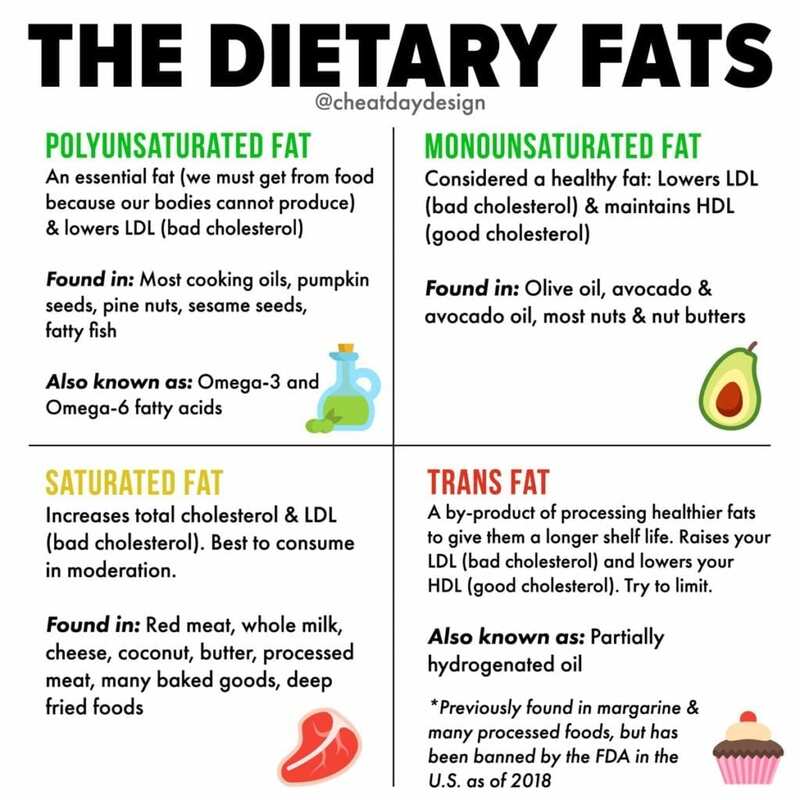 So I like to give you the tools to properly understand nutrition and to ultimately be able to make your own educated decisions about what YOU want to eat. That being said, we all need to stop focusing on buzz-words and marketing nonsense. No food you eat should ever come with guilt. Look, I understand what Kind Bar is going for here- they’re plant based, overall healthy, and in most cases a “better” option than a candy bar, nobody is going to argue that. But you know what? 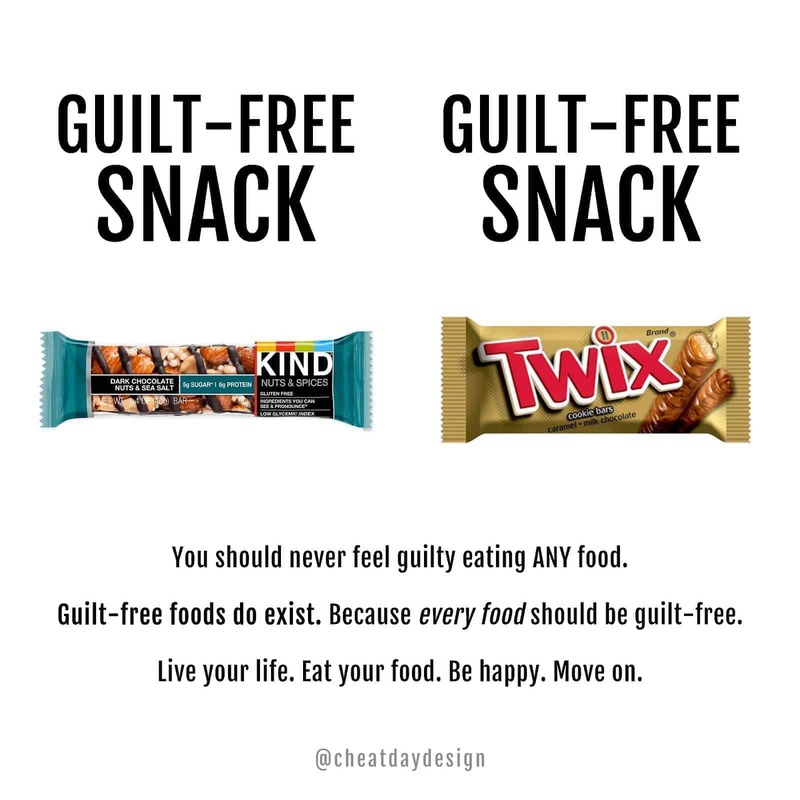 You should have ZERO guilt if you choose a candy bar instead. If you want it and it makes you happy, eat it and move on with your life. Don’t ruin the experience with unnecessary guilt. No food is inherently bad for you. I don’t care what anybody says. 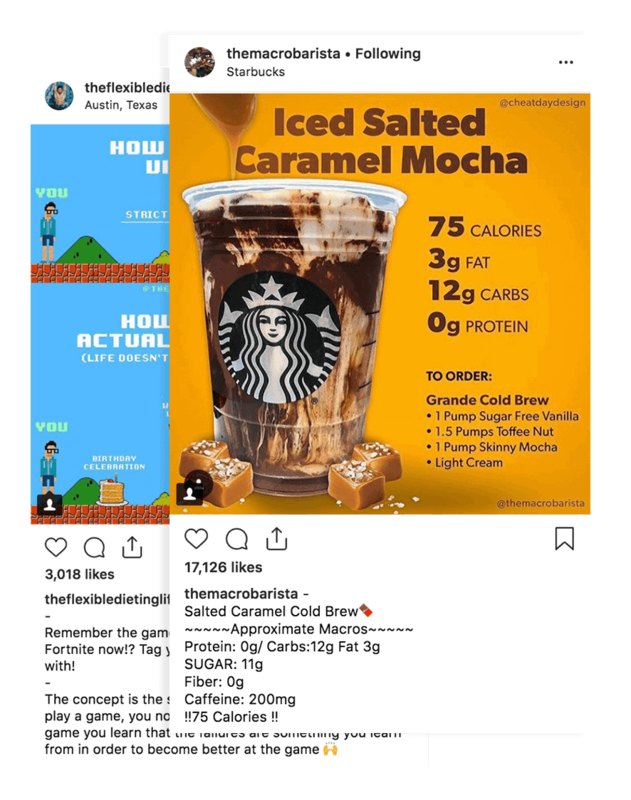 People will shout from the rooftops that sugar is going to give you cancer or that eating junk food is going to make you instantly fat. Cut out the noise, you don’t need that crap in your life. 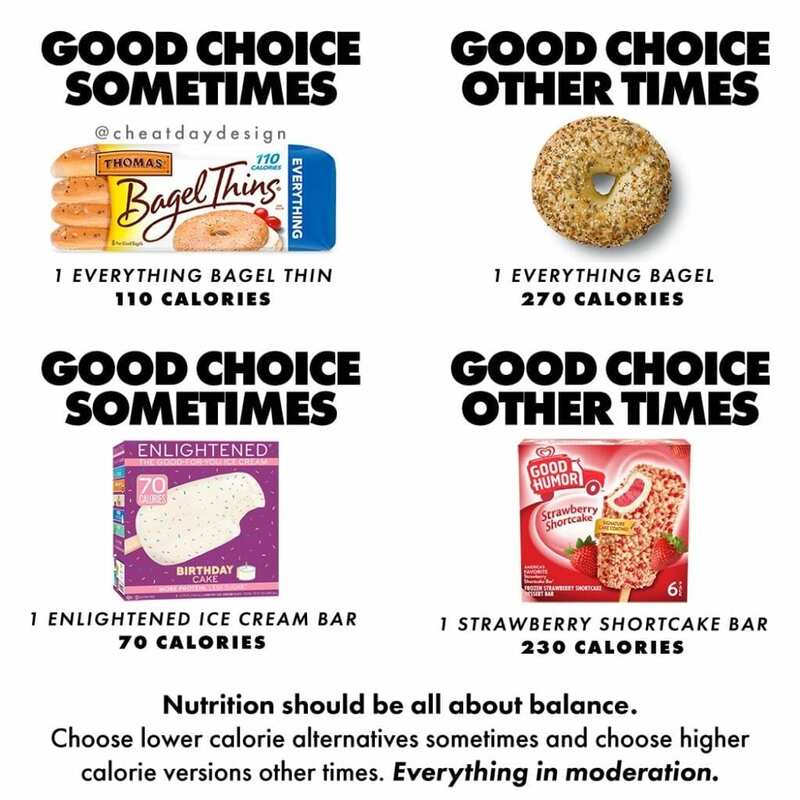 If you haven’t noticed by now, most of the whole “eating healthy” thing is subjective. Go ask someone what healthy food is and you’ll get a different definition every time. What we all need to do is focus on learning the basics of nutrition. Understand that yes, a candy bar is going to be higher in calories and sugar than the Kind Bar. And that’s okay. You understand that and you still choose to eat it. 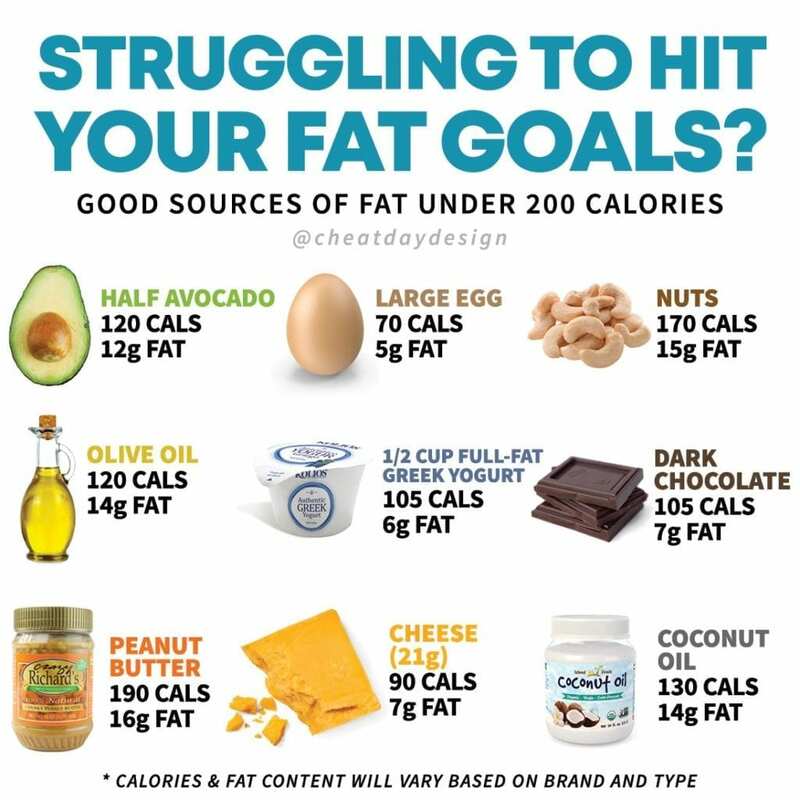 You know that if truly needed, you can cut back on calories somewhere else to fit your goals. But you don’t need to feel ANY guilt about what you ate. Ever.